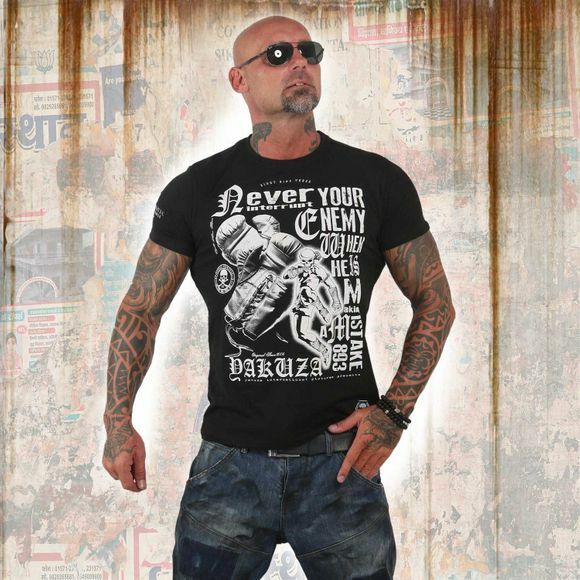 YAKUZA ENEMY men's t-shirt. A cotton crew neck t-shirt featuring print designs with a cracked finish. This t-shirt is finished with a Yakuza woven label near hem and leather tab on side seam and is ideal to wear all year round. Please watch out for our size specifications and the washing instructions below.